Najib and his circle are accused of stealing US$4.5bil (RM18bil) from Malaysian sovereign wealth fund 1Malaysia Development Berhad (1MDB) in a mind-boggling fraud that stretched from Switzerland to the Seychelles. The money was purportedly used to fund a global shopping spree – a US$250mil (RM1.42bil) superyacht, high-end real estate, and Monet and Van Gogh artworks – were among the items allegedly bought with cash plundered from public coffers. Public revulsion at the graft allegations played a large part in the election defeat of Najib – who set up the fund – and a coalition that had ruled Malaysia uninterrupted since independence from the United Kingdom in 1957. Since his shock poll loss last May, the 65-year-old has been arrested and hit with 42 charges linked to the scandal. He has vehemently denied any wrongdoing. Far from keeping quiet, the ex-leader has mounted a publicity blitz, seeking to present himself as a man of the people and constantly hurling jibes at the new government. This week’s trial, starting Tuesday (Feb 12), centres on allegations that RM42mil was transferred from SRC International, a former 1MDB unit, into Najib’s personal bank accounts. The case involves three counts of money laundering, three of criminal breach of trust, and one of abuse of power. Najib has pleaded not guilty to all the charges. 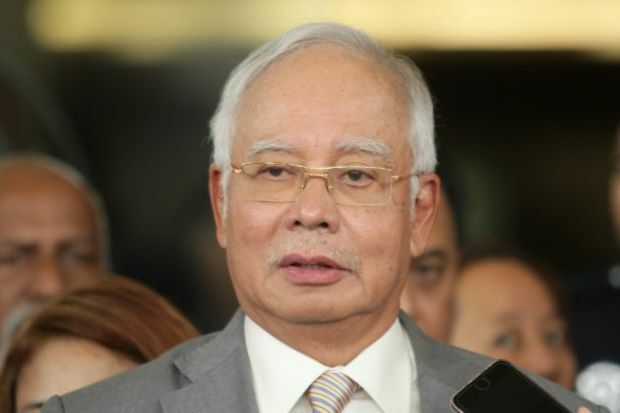 It is just one of several trials Najib is expected to face over 1MDB and involves a fraction of the total purportedly stolen from the fund, and the US$681mil (RM2.6bil) that allegedly ended up in his personal accounts. “It is critical for the new government to address and resolve past scandals,” added Gabriel, head of the non-profit Centre to Combat Corruption and Cronyism. In the most bizarre episode, he posted a video of himself crooning a Malay-language version of the 1970s hit Kiss and Say Goodbye accompanied by backing singers, in which he accused the new government of having an “agenda of revenge and slander”. Bridget Welsh, a Malaysia expert at John Cabot University, said that “the new image… is fabricated and not connected to his term in office.